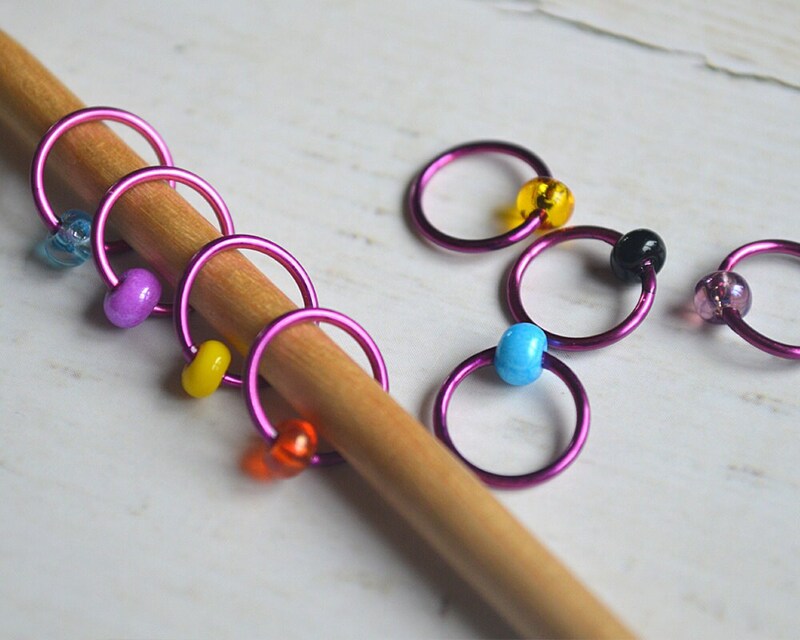 This set of dangle free knitting stitch markers puts it all out there with a little something for everyone. They are bold in color and will absolutely POP on your needles. They're a fun and totally crazy combination of color to satisfy the party girl (or boy) in all of us. 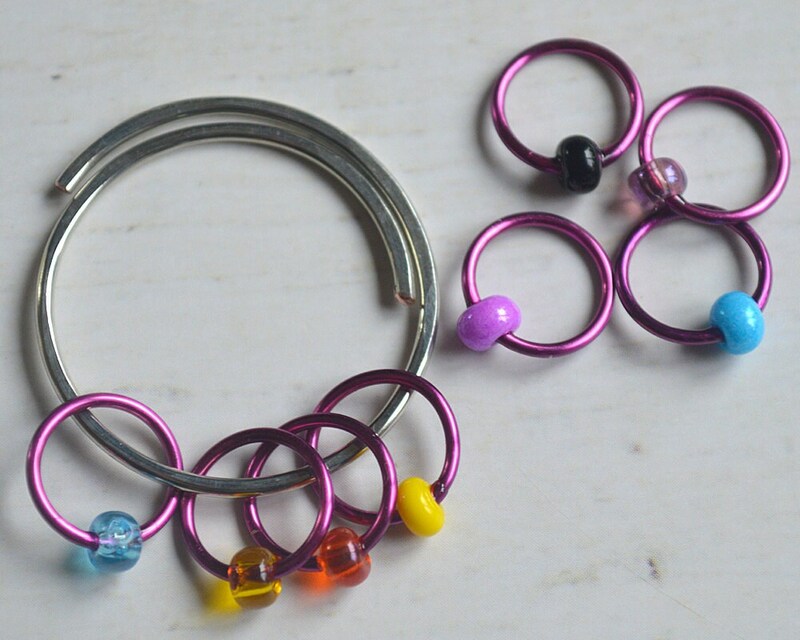 As always the rings are handcrafted using sturdy but lightweight 18 gauge magenta colored wire and as you can see a very colorful mix of coordinating beads. I seal the beads over the seams to ensure they are truly "snag-free". All my markers are shipped with a hand-shaped, gently hammered wire holder and come packaged in a resealable, reusable cellophane envelope. Pictured is size medium photographed on a US 8 needle. Interested in more than 8 markers to a set? My new quantity per set option now allows you to purchase this design in sets of 8, 12, 16 or 20 markers! I'm happy to work with you if you should be interested in an amount that isn't represented here. Please let me know. X-Small - fits up to US 3 (3.25mm) knitting needles. Small - fits up to US 5 (3.75mm) knitting needles. Medium (shown in photos) - fits up to US 9 (5.5mm) knitting needles. Large - fits up to US 13 (9mm) knitting needles. 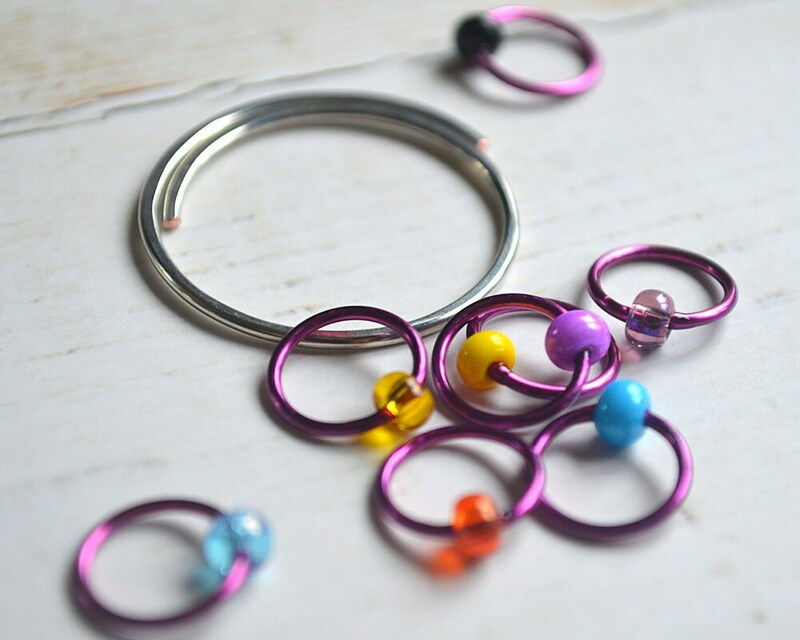 Custom - include how you would like to customize your set of stitch markers in the note to seller box at check out. For example: 4 small, 4 medium. Other options are available. 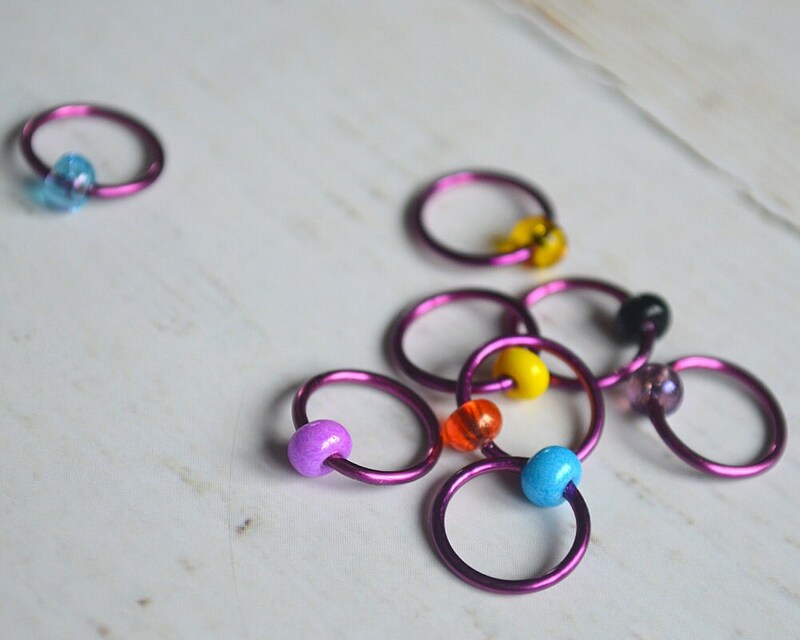 Please see the stitch markers section of my shop.